In the past, iLuv has made some speaker docks that underwhelmed PC Magazine – most notably last year’s iLuv i199, which was a victim of trying to do too many things at once. he new line from iLuv, though still feature-heavy, seems to be focused on simplifying the docks a bit. The i1255 is dubbed a “desktop iPod/DVD player” by the company, and it outputs 5.1 audio from its thin-frame dock. 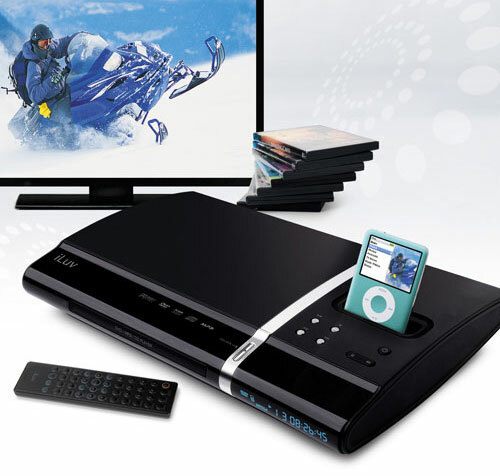 The DVD player also plays CDs, MP3 CDs, as well as JPEG and Kodak picture CDs. The iPod dock is compatible with the new generation of iPods released back in September. There are no speakers included, so consumers should think of this as a DVD player that happens to have an iPod dock integrated. The $150 i1255 will hit stores in March. 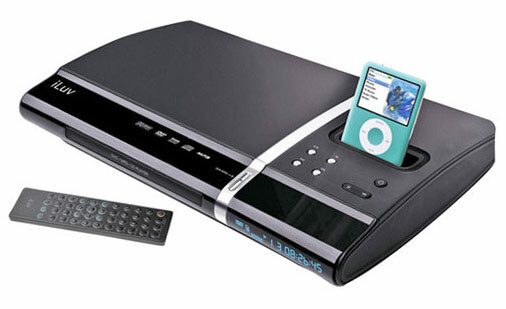 The i399, available this month, is a Bluetooth-enabled 2.1 speaker dock for iPods. Using the included “BluePin II”, a detachable Bluetooth transmitter, users have the ability to stream music from an iPod docked in the i399 to a pair of Bluetooth headphones, or send music from, say, a Bluetooth phone to the i399’s speakers.